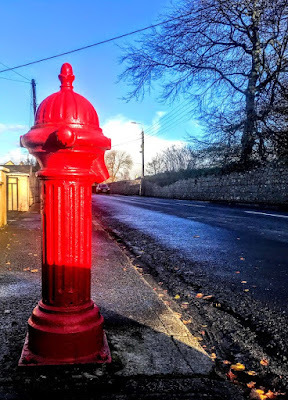 The old Victorian water pumps and milestones on the streets of Rathkeale and Askeaton are seldom seen by motorists and are often passed dismissively by pedestrians. 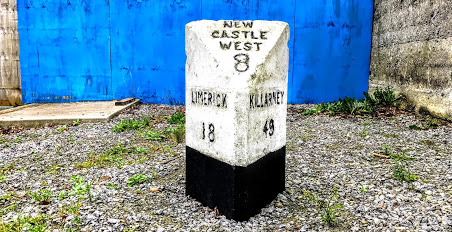 They have long lost their usefulness and function, but they are pretty decorative legacies from the 19th century and bright aspects the streetscape of these towns in west Co Limerick. The cast-iron water pump on Church Street, Rathkeale, was erected around 1880. It has a fluted cylindrical shaft, with a lion’s head serving as a spout, a fluted domed cap with an acorn finial, a handle and a projecting bucket stand. For many years, this water pump was a much-needed communal water source for the people of Rathkeale. Despite its original utilitarian function, the fluting on the shaft, the lion’s head spout, the domed cap and the acorn finial, painted brightly in contrasting yellow and black to emphasise its features, give it an attractive appearance. A similar cast-iron water pump on Main Street, Rathkeale, dates from about 1900. It too has a fluted cylindrical shaft, fluted domed cap, acorn finial, handle, spout and bucket stand. 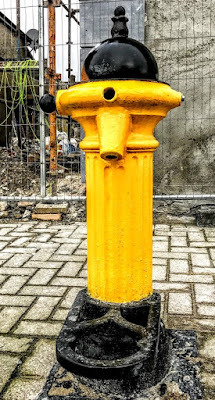 This water pump does not have a lion’s head, but it too is painted brightly in yellow and black and adds to the attractions of the street. The cast-iron water hydrant on the Quay in Askeaton dates from about 1880. It has a fluted shaft with a conical fluted cap, a spout, a handle and an acorn finial. The manufacturer’s stamp on the west face shows this was pump was made by Glenfield and Kennedy, and is now painted brightly in red. There is a similar pump in the Square, Askeaton, and another in Church Street, almost opposite the Rectory in Askeaton, both dating from around 1880 and painted in bright red. Their triangular form and shape and their simple details and lettering make these milestones interesting Victorian artefacts that have survived from the Victorian age for the past century and a half or more. 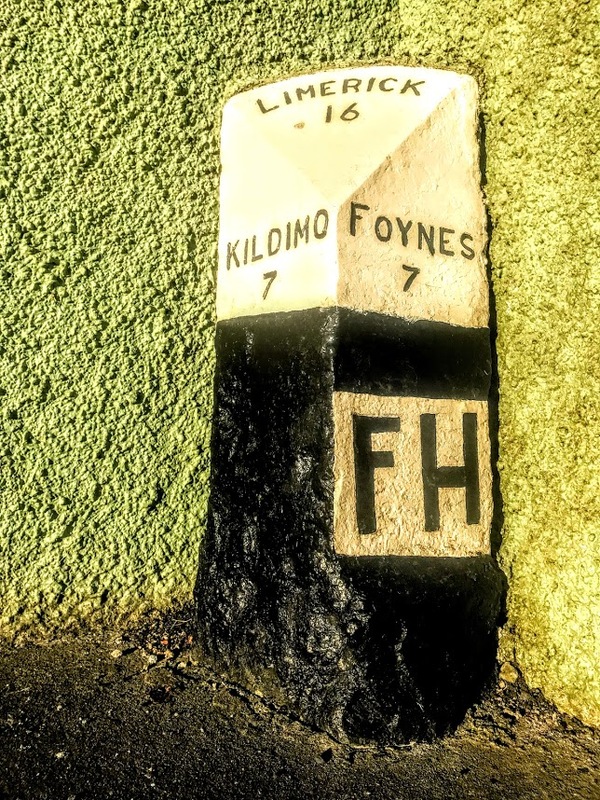 Milestones are no longer useful in an age when distances are measured in kilometres and directions are provided by Google Maps or Sat Navs. Water pumps no longer work, and if they did they would probably not meet today’s standards for clean water. But these artefacts are reminders of life in rural Ireland before the widespread provision of domestic water supplies and the building of by-passes and motorways. They remain eye-catching visual attractions that brighten up the streets of our town and villages.